In the 'fantasy' universe of the phenomenally bestselling Discworld series, everything runs on magic and common sense. The world is flat and million-to-one chances happen nine times out of ten. Our world seems different - it runs on rules, often rather strange ones. Science is our way of finding out what those rules are. The appeal of Discworld is that it mostly makes sense, in a way that particle physics does not. 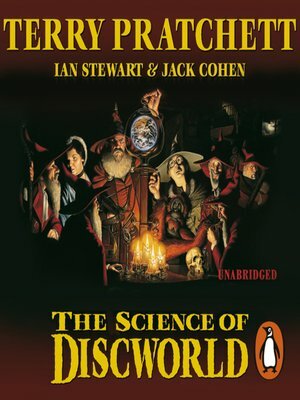 The Science of Discworld uses the magic of Discworld to illuminate the scientific rules that govern our world. When a wizardly experiment goes adrift, the wizards of Unseen University find themselves with a pocket universe on their hands: Roundworld, where neither magic nor common sense seems to stand a chance against logic. The Universe, of course, is our own. And Roundworld is Earth. As the wizards watch their accidental creation grow, we follow the story of our universe from the primal singularity of the Big Bang to the Internet and beyond. Through this original Terry Pratchett story (with intervening chapters from Cohen and Stewart) we discover how puny and insignificant individual lives are against a cosmic backdrop of creation and disaster. Yet, paradoxically, we see how the richness of a universe based on rules, has led to a complex world and at least one species that tried to get a grip of what was going on.